Stay in one place long enough and the world comes to you. 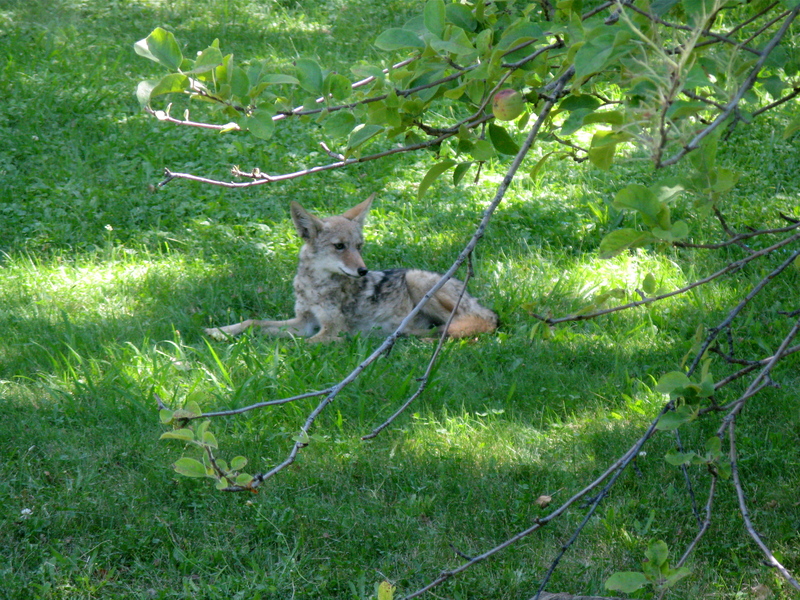 A coyote trots through the front yard in midday, and decides to rest for awhile under an apple tree. 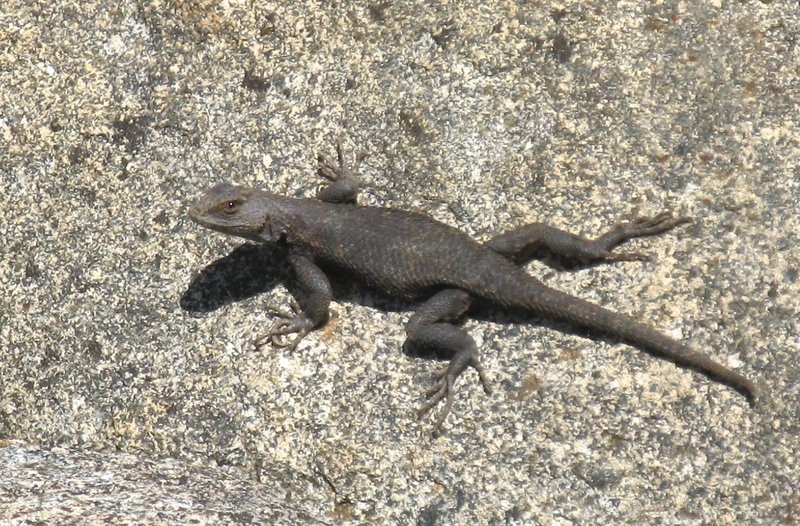 One of our insect-devouring lizard companions sunbathes on a granite boulder. 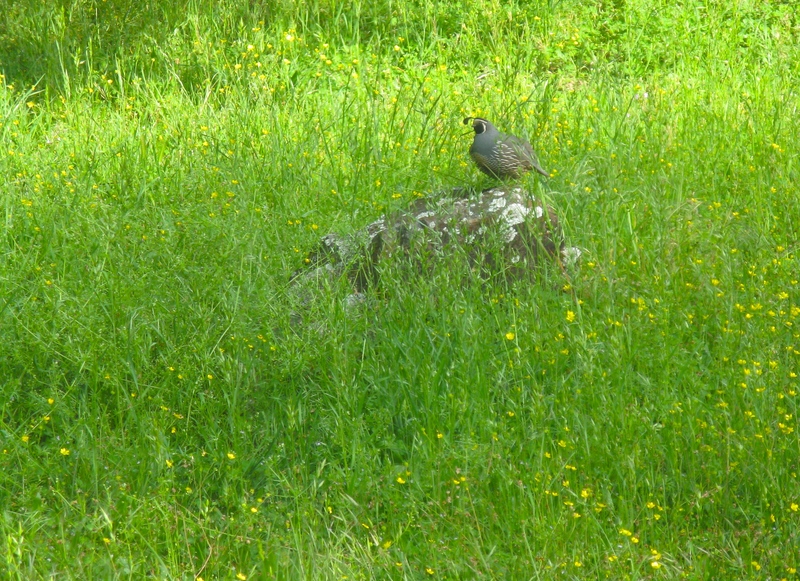 A quail finds a safe spot in the backyard where it can see above the grass. 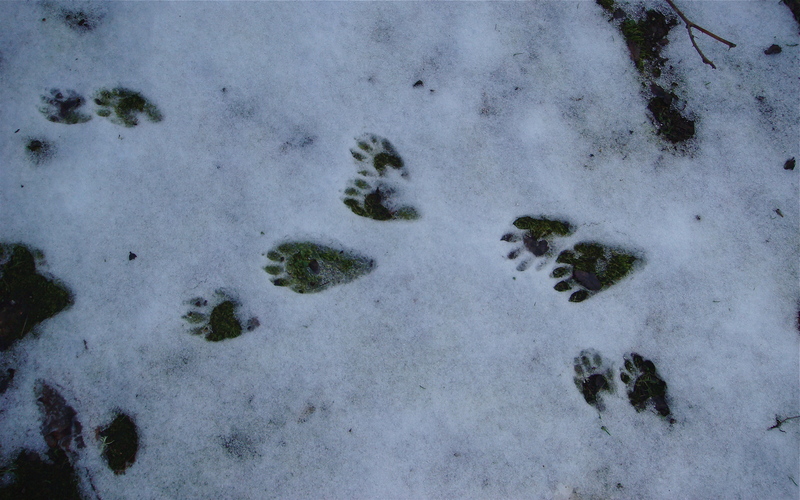 A critter walked through the place the night before, and left its calling cards. 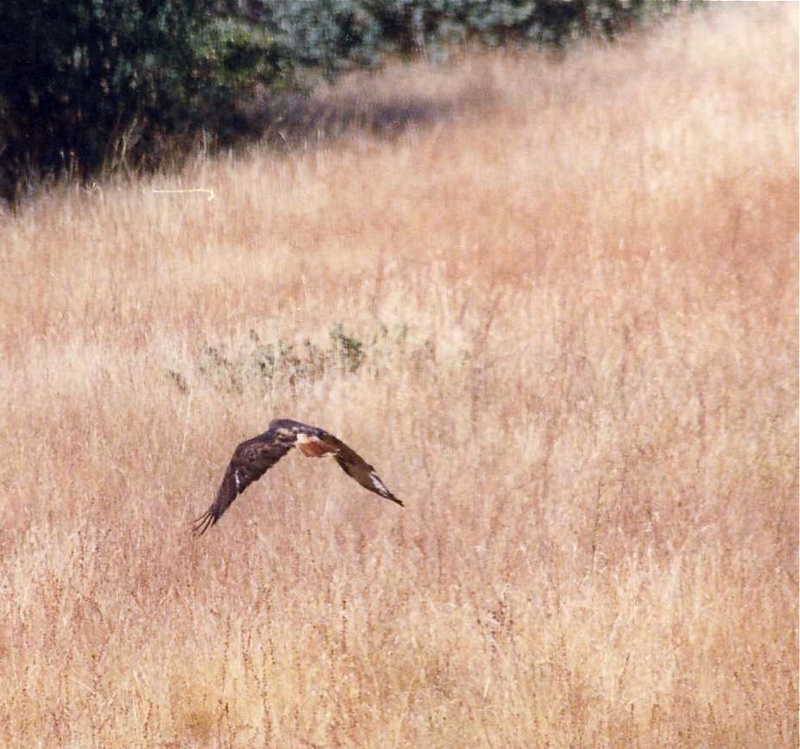 This hawk rested for awhile in our back yard, then flew away. 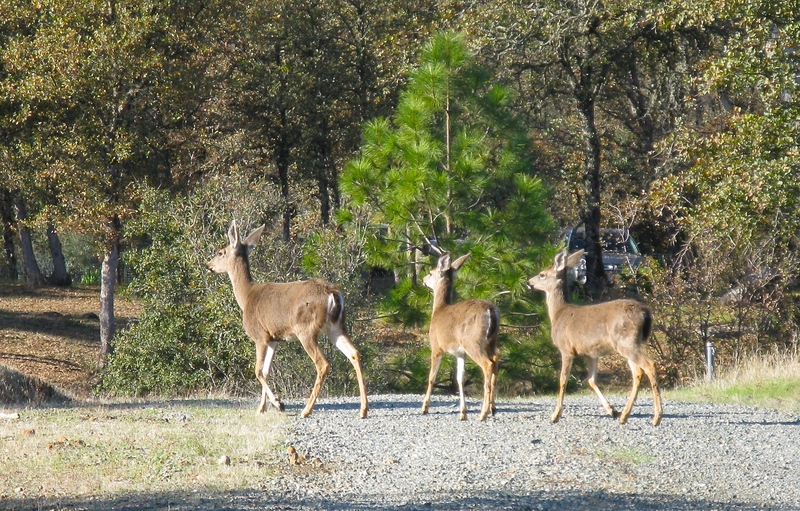 Tags: coyote, deer, quail. Bookmark the permalink. Excellent wildlife photography. Rumor has it the cougars are becoming less reclusive in these parts. I would love to photograph one, so I placed a huge ball of yarn on the property. Sure you’re not spinning a yarn, Violet?